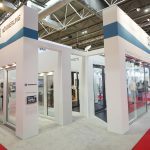 Visit Glass, the dedicated flat glass showcase set to debut at FIT Show 2019, has seen a number of high profile brands sign up to exhibit at the NEC this May (21st to 23rd). 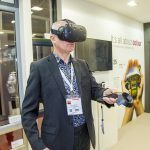 Experts from a number of Visit Glass’ exhibiting brands are scheduled to deliver key notes as part of the main FIT Show learning programme. Topics that will be covered include ‘the evolution of glass’, ‘flat glass technology’, ‘automation’, ‘pushing the boundaries of glass design to meet creative trends in large scale commercial architecture’, as well as ‘the comfort and health benefits of glass’. Flat Glass Solutions will be showcasing a water treatment centrifuge, a new and innovative eco-friendly polishing wheel for processors, a rotary table and snip saw for IG manufacturing, along with a vacuum lifter for glass. Speaking about their decision to exhibit, Managing Director David Cahill said: “As a brand that is still in its infancy we want to expose our new products and ideas to the industry. Visit Glass will allow us to do just that. Recent preregistration data has reinforced the quality audience that is being driven to this year’s FIT Show. 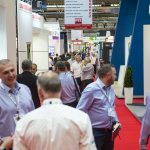 As well as registration being significantly higher than the same period in previous campaigns, 45% of those registered for FIT Show 2019 have a turnover of over £1m, with more than half of those registered being C-suite decision makers or higher.